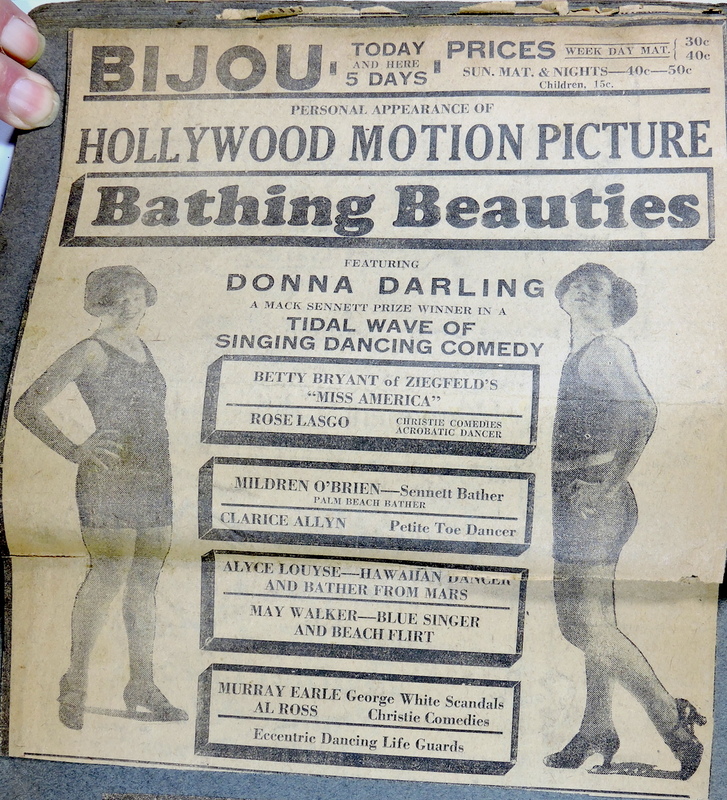 For this week’s Treasure Chest Tuesday, I’m looking at three clippings from the Donna Darling Collection. 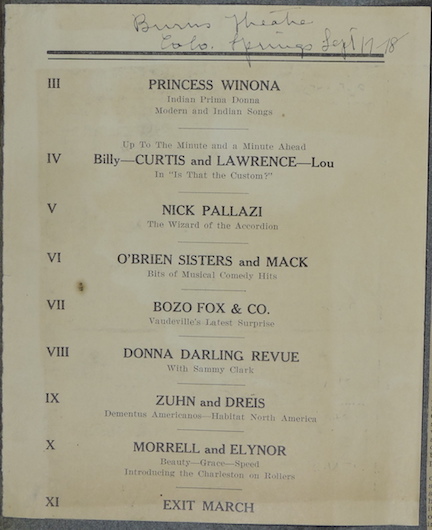 One as an ad for her playing at the Binghamton Theater, next is an article which mentions Donna playing at the Binghamton Theater, and finally is a playbill showing Donna Darling and Boys playing January 26, 27, and 28 at the Binghamton Theater. I have cropped and resized the photos for the web. 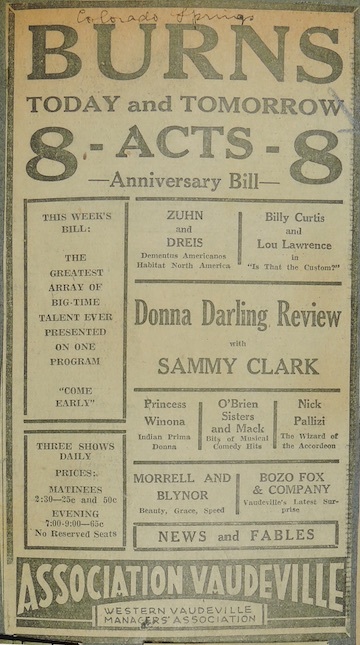 Ad – Binghamton Theater – Donna Darling and Boys. The venue is the Binghamton Theater. The show is Donna Darling and Boys in “Oh! Boy, Don’t Miss This One! 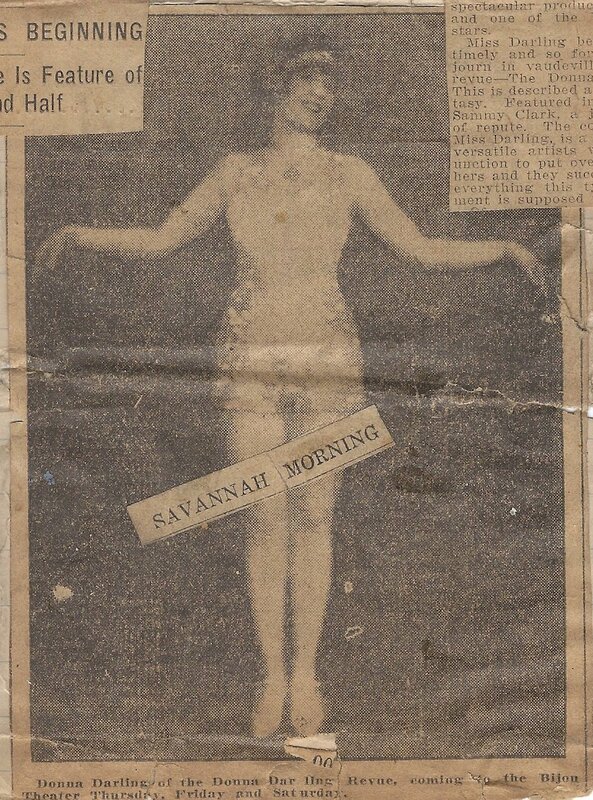 The date was January 26, 27, 28, 1922. 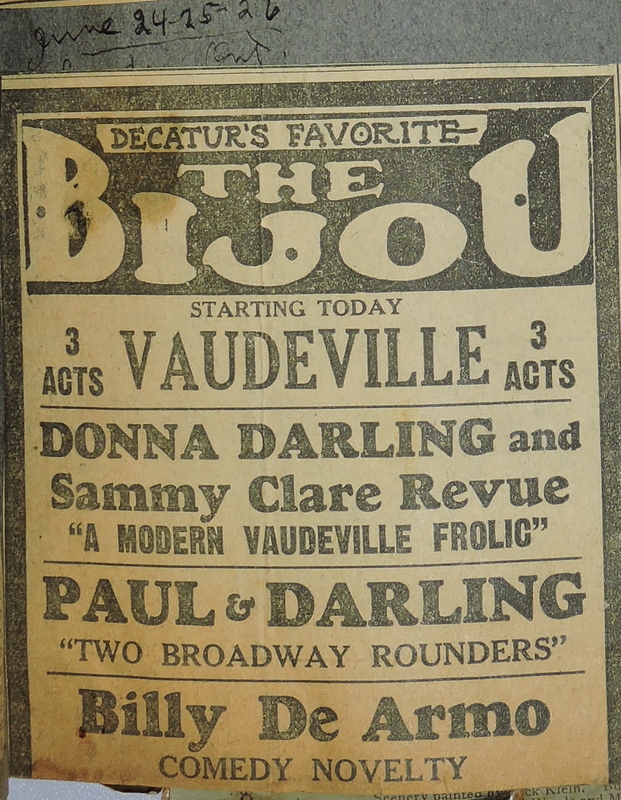 This was a new venue and date for a Donna Darling show for me. This was a clear event, but I wondered, what other information might there be for this show at this location. 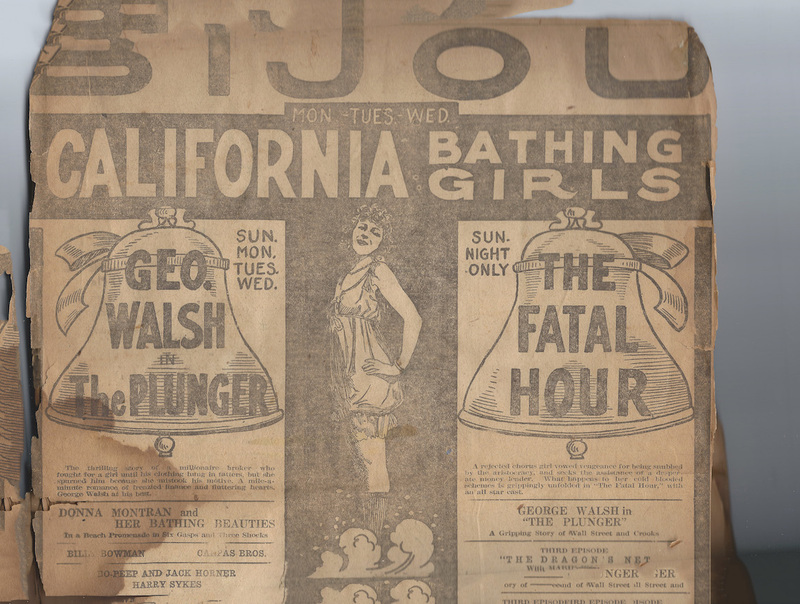 I went to my favorite newspaper site, The Ancestor Hunt to see what I could find. I searched for Binghamton and found several entries. The New York Online Historical Newspapers Summary looked like a great starting place. I did a <Command-F> to do a find and searched for Binghamton. There were seven entries. Three under “Old Fulton New York Postcards.” One of those was the Binghamton Press from 1904 to 1969. 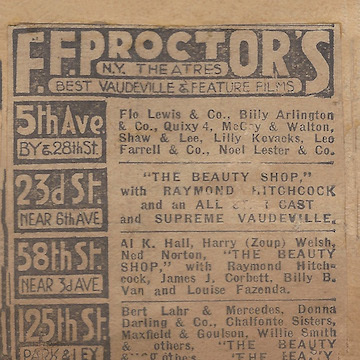 None of the other entries covered 1922. At the bottom of the Ancestor Hunt Summary page are links to four paid sites, Ancestry, Genealogy Bank, Newspapers, and Newspaper Archive. None of which provided additional newspapers in Binghamton during the time period I was interested in. 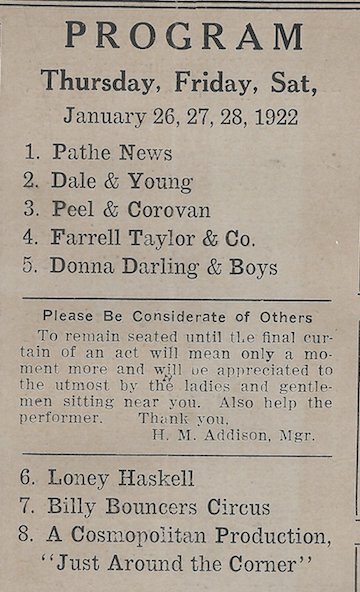 I went to the Old Fulton New York Post Cards site and did a search for the exact phrase, “Donna Darling and Boys” – Success. There were 10 results and two were from Binghamton papers. I added them to my collection. 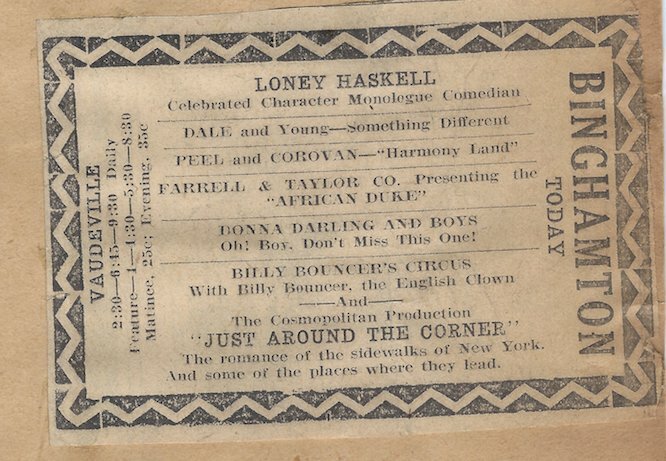 February 1922 at The Majestic Theater in Elmira, NY. 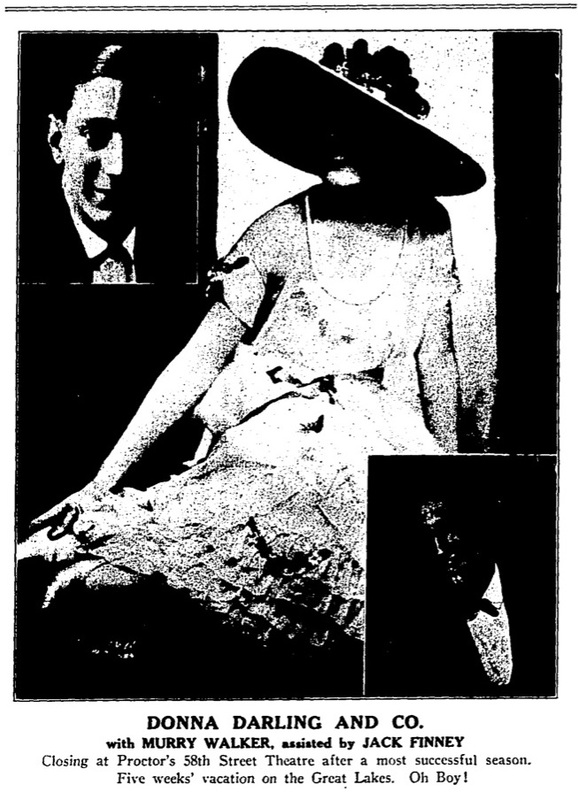 September 1923 at Layfayette Theater in Buffalo, NY. This was really great for a couple reasons. 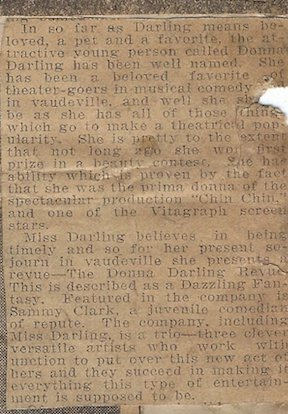 First, the Donna Darling Collection has many clippings for the Majestic that aren’t identified as to date or location. By matching those Majestic clippings to these articles looking for the exact play bill, I may be able to identify those clippings exactly. Second, all four of these dates and venues were new to my list and will provide additional research opportunities. Thanks again to The Ancestor Hunt and to Old Fulton New York Post Cards for being there. Both are great resources. 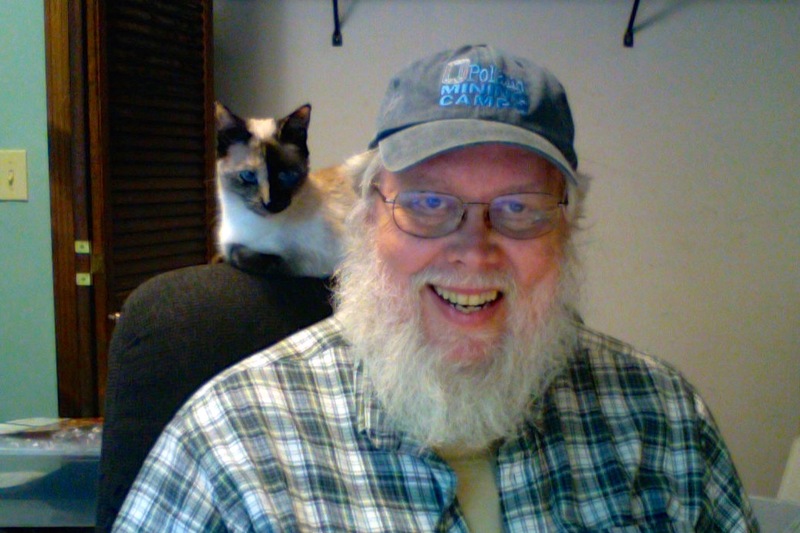 I’ve added all five venues and dates to my listing of shows and will research and write about them in the future.